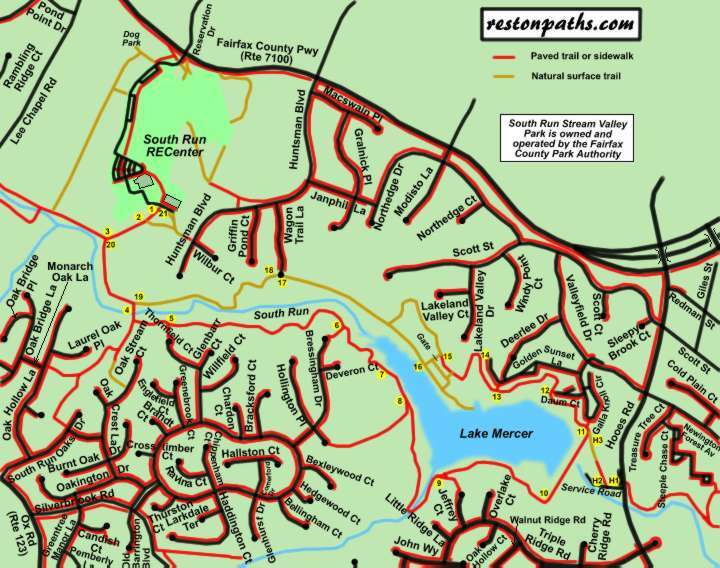 Click here for parking and start of walk from South Run RECenter. Click here for parking and start of walk from Hooes Road. Click here for map and directions in pdf format for printing.